The Territorial Collectivity of St. Pierre and Miquelon, the only remnant of the former French colonial empire in North America, is comprised of two small groups of islands off the coast of Newfoundland. From a philatelic investment perspective, it's of interest because its stamps are popular in Canada and among collectors of French Colonies - both growing markets. 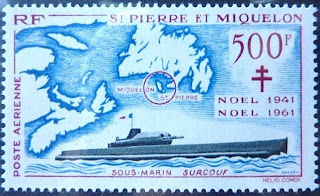 In 1962, St. Pierre and Miquelon issued a 500fr Airmail picturing the World War II Submarine "Surcouf", and celebrating the previous year's 20th Anniversary of St. Pierre's joining the Free French (Scott #C25). 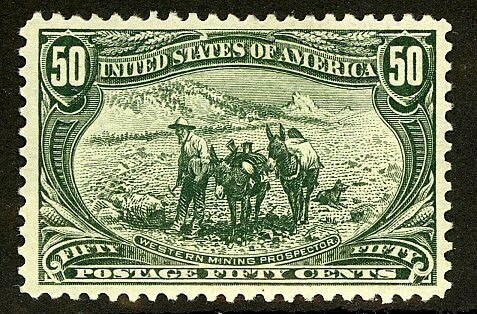 While the printing quantity of this high-value stamp is not known, I estimate that no more than 10,000-20,000 were issued, and as the stamp was considered pricey at the time, many were probably used on heavy parcels and discarded. 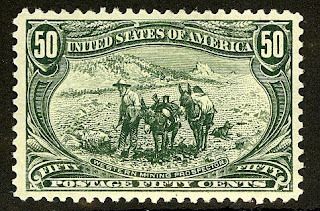 Scott '11 prices the stamp unused at $ 130.00. 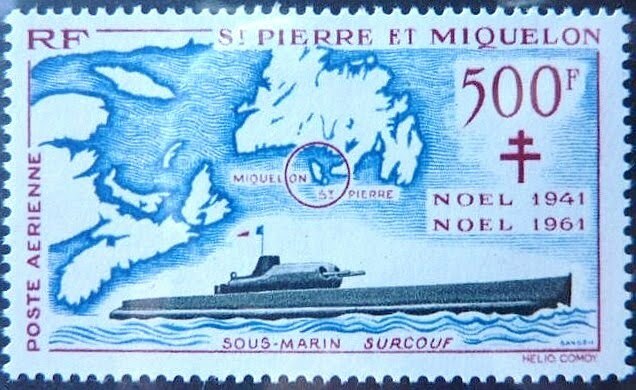 As an attractive combined Ship, Map, and World War II topical, and the key airmail of St. Pierre and Miquelon, the stamp should continue to do well in the years to come. Really Beautiful! rare to see submarine stamps but there are..... thanks for posting and all information involved! !